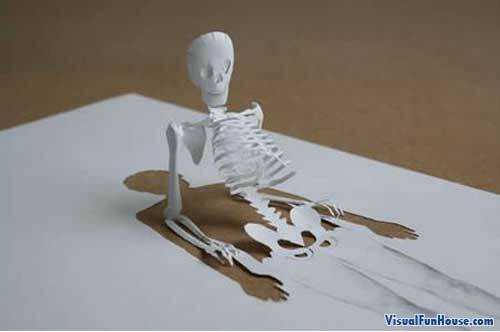 3D Paper Art Optical Illusion is some pretty incredible paper art. All of these paper artwork have been created with a single piece of paper. 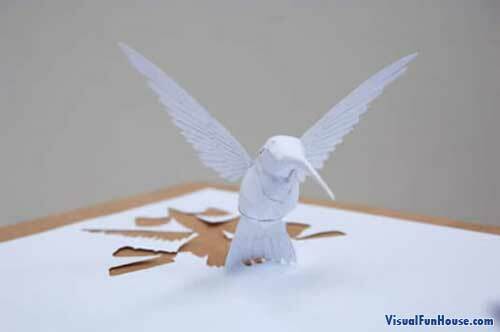 These incredible pieces of paper art create 3D creations while they are still attached to their original piece of paper. The first 3D humming bard, has incredible depth giving it a life like appearance. 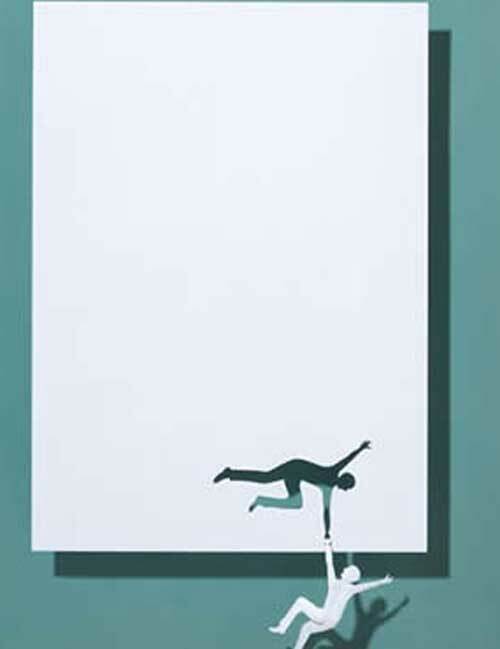 The second is kind of cleaver, the cut out man is saving his twin cutout from falling off of his paper. 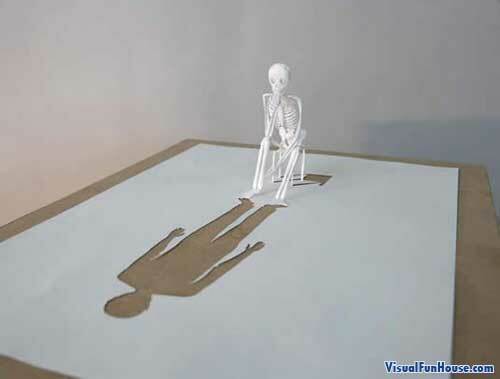 The following two are very detailed skeletons coming out of the paper they were created. These illusions are like origami with a twist. 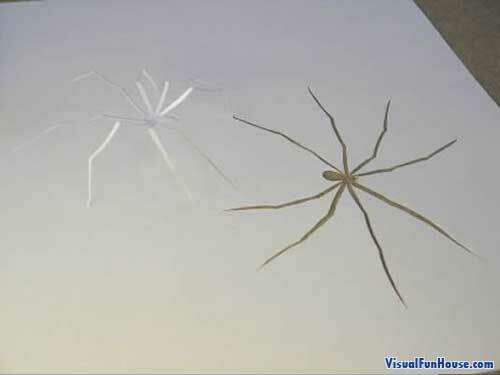 The twins and spider look quite simple but the humming bird and skeletons: wow!